Ready. Set. Go! Who Wants to Go For a Ride? 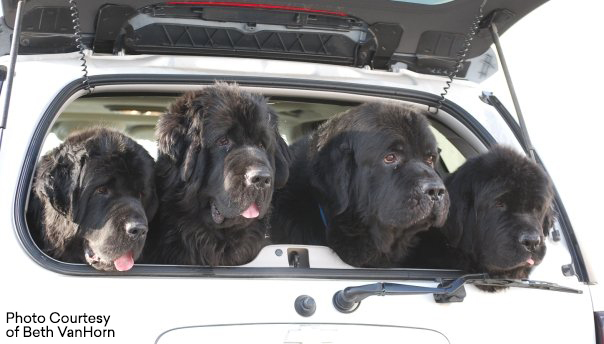 Most dogs like to go on car rides, but how can you keep them safe while traveling? Whether Buster is a 120 pound Great Dane or a 5 pound Chihuahua, there are many options to ensure everyone’s safety. Not every option is right for every dog, so do your research before committing to one. 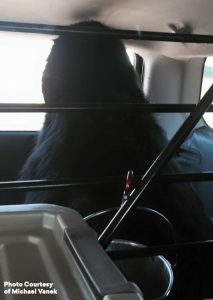 You’ll need to consider the size of your car, where you will put the crate and how likely Buster is to try to escape. Size – you want the crate to be large enough that your dog can stand comfortably, but not so large that he goes flying around in it should you have to break abruptly. Type – soft or hard. 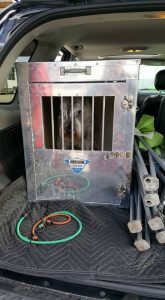 It is generally more difficult for your escape artist to get out of a hard wire or plastic crate. Hard crates are also sturdier in the case of an accident. But there is the risk that the door may become stuck, making it all but impossible to get Muffy out in case of emergency. They are also more difficult to carry and readjust if needed. Soft crates may not be able to contain a dog determined to escape. Hard or soft, there are crates to meet your every need. Some open on top, others on the side, or on the ends, or a combination of these. Just as you’d expect, a seat belt will keep your dog from flying off his seat. It will also ensure that he doesn’t jump out of the car when you open the door. But, if your dog is the type that can’t sit still, seat belts can become entangled and cause stress. These come in hard and soft, too. Again, hard ones will keep your dog in the designated area more securely than a soft one, but they may be harder to adjust to fit just right. Think about how well your dog will behave if given the chance to roam freely in your vehicle. Will he spend every trip jumping from the front to the backseat and possibly into your lap causing an accident? Or will he lie down in a doggy bed in the back seat and enjoy the ride. How long is the drive? How likely are you to drive abruptly and send him flying through the windshield? Not every option is right for every dog in every situation, use the one that best suits your and Snoopy’s needs. 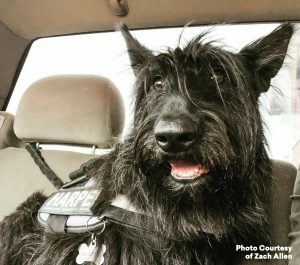 Remember, to your dog, the destination really doesn’t matter, it’s all about spending time with you – so make the ride a safe one for everyone.